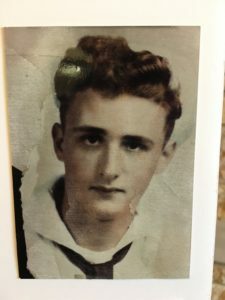 My Grandfather passed away this summer. He was my mother’s father. There’s something about your mother’s father that feels more intimate. He passed while I happened to be back home in Minnesota for five weeks. I was on my way to see him, when I found out he died. My mother called me while I was driving. She was hyperventilating. I had to pull over. My grandfather was 91 and had been sick for a while, so I could assume this was why she was so upset, but I didn’t know for sure. No one should ever have to hear their mother in that much pain. She wailed. It cut through me. I could hear her chest shaking. I knew after that moment everything would be different. I tried to be strong. She struggled for more than three minutes to get a word out. She was just sobbing. It was torture. I assumed she was going to tell me my grandfather had died, but she couldn’t say it. My mind was full of fear and started to create other scenarios. 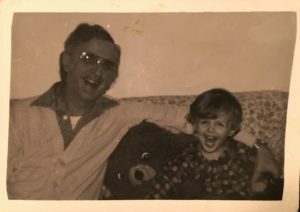 Maybe it wasn’t my grandfather, maybe something happened to my dad or my sister. I got mad; I yelled at her, pleading for her to tell me what was going on. She finally found the space to say the words, “Grandpa is dead.” The sobbing intensified. Hearing my mother cry that hard will stay with me for the rest of my life. 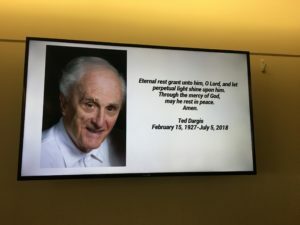 Over the last couple of years, I had been preparing myself for his death and in that moment I was, for the most part, holding it together; but once I got to the hospice center I lost control. I couldn’t even go in the room where he died without first asking everyone else to leave. I didn’t want to be on display as I was consumed by my feelings. There were numerous family members there. It was beyond intense. I couldn’t look any of them in the eye. I was crying so hard my vision was blurry. I had never cried like that before. My aunts rushed over to me. I heard my grandmother say, “He’s responding just like I did when my Grandfather passed.” I’m sure it was hard to watch. Everyone understood and left the room. I entered with my mom and my grandmother holding me. The room felt like a new, large hospital room but with carpet. It had a softness that was there by design. My eyes were filled with alligator tears. I stared at the floor, taking in slow, measured breaths. I finally looked up and for the first time ever I was in the presence of a dead body of someone I shared DNA with. Many have said I’m my grandfather’s twin, but now his skin had the yellow hue of jaundice. His mouth was agape, as if he was still gasping for his last breath. I sat down and cried until I there was nothing left. Then I looked up at him and smiled. It terrified me, but I touched his forehead. Family members slowly made their way back in. After some time, my grandmother lifted up my grandfather’s arm and took off his watch. It was a simple Timex watch. White face with black numbers, silver colored band, with gold on the edges. 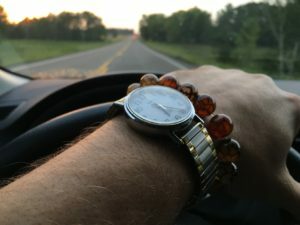 She turned to me and said, “Grandpa would have wanted you to have this.” As she slid it onto my wrist the old-school band pulled on my arm hair. A tremendous sense of pride and responsibility came over me. That was a hard day, but as we do, I made it through. I wore his watch to the funeral. 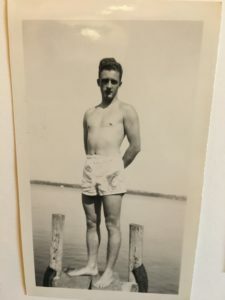 The pastor gave it his best shot but it was clear that a stranger was speaking about my grandfather. The pastor was in his early 30’s, he wore black Oakley glasses and sandals. Yeah, sandals. Not cool Jesus-y sandals, but more like the type of sandals people wear when they go rock climbing. Combine that with his man-bun and I was less than impressed. His speech was as if he had filled out some sort of Mad-Lib about my grandfather’s life. Most people, even most of my family, didn’t mind, but to me his words lacked intimacy. I wanted to push him aside and say, “I got this one, padre.” But as a grandchild, I felt it wasn’t my place. When my parents pass you can be certain I will be giving the eulogy. But, life goes on and now I wear a dead man’s watch. 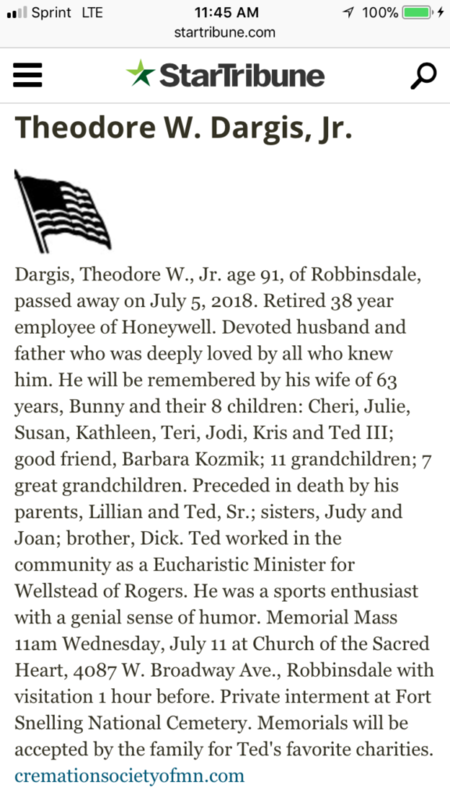 I keep it on Minnesota time as an homage to Theodore William Dargis Jr. Although he is not with us, his impact will live on. He continues, because I continue. We are all going to die and that is sad, but it doesn’t have to be tragic. Death is what gives life it’s value. I went home for five weeks to spend time with my girlfriend and her boys. We took her youngest boy to his first Minnesota Twins baseball game. My grandfather loved the Twins. We went to many games together. A great touching story and yes from the photo you can see your resemblance to your Grandfather. Wear his watch in good health my friend.